Following her update on the Malian crisis, Laurence Deschamps-Laporte highlights the importance of exploring the more moderate voices of Islam in northern Mali. 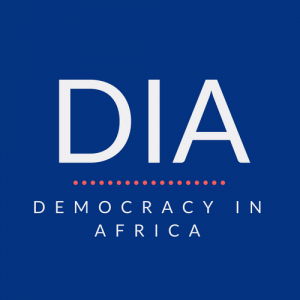 In this post she focuses in on Ançare Dine and its charismatic leader Cheick Haidara, exploring his take on the crisis in Mali, other Muslim groups and the French intervention. Laurence is an MPhil candidate at Oxford Department of International Development. Since the coup that forced President Touré to resign in the spring of 2012, various Islamist groups including Al Qaeda in the Islamic Maghreb (AQIM) have competed for control of northern Mali with Tuareg nationalists who have pursued their aim of establishing the state of Azawad (see this piece which summarizes the situation). Last January, France launched a military intervention to stop the progression of AQIM in Mali and to put a halt to the crimes it was committing against civilian populations. While the media coverage of the conflict has highlighted the prominence of jihadist Islamist groups in northern Mali, it has overlooked the broad appeal of charismatic Islamic movements, such as Ançare Dine, across the country. This religious movement has influence in all spheres of political, religious and civil life in Mali and has been actively denouncing the actions of both the Islamists and the Tuareg nationalists. Ançare Dine is often conflated with the homonymous Islamist group. The first Ançare Dine, the topic of this piece, is a charismatic Islamic movement led by the Cheick Haidara. The other one (sometimes spelt Ansar Dine or Ansar ud Dine) is an Islamist group which is partly responsible for the violence in northern Mali and until recently collaborated with AQIM. But the movement is not only popular in Mali, it also has followers throughout Western Africa and among West African communities in Europe, especially in France and Spain. While Haidara reiterates that he is not interested in religious denominations within Islam, he arguably originates from a historical tradition of Sufism in the region, without associating with powerful brotherhoods that influence politics, notably in Senegal. 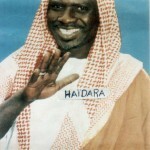 Haidara has spoken vehemently against corruption and is a strong proponent of democracy. He is also a Islamic reformist who encourages a local understanding of Islam, allowing prayers in Bambara and other native languages and criticizing the ‘Arabization’ of Malian Islam. 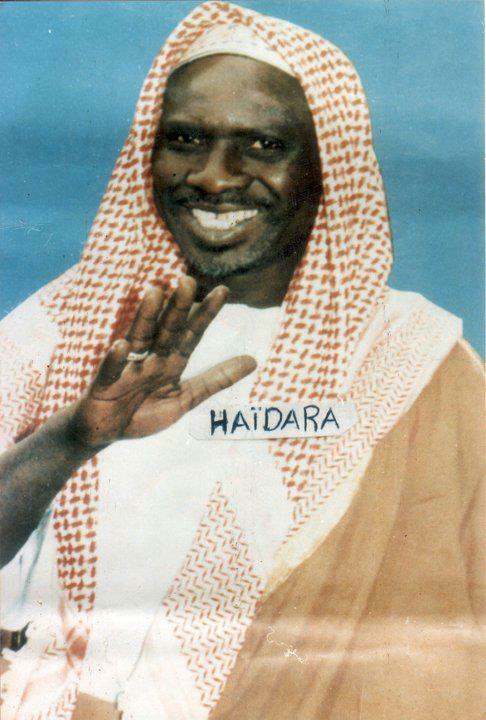 Haidara himself embraces the Bambara name that he is also known under – Wulibali – the one who speaks undeniable truth. Haidara is astoundingly active on the social network Facebook and comments daily on the political situation in the country and on proper Islamic conduct in this time of struggle for Malians. He posts almost all his sermons on YouTube and runs different websites for Ançare Dine groups in West Africa and France. He responds to queries, shares prayers and informs his followers about his lectures and sermons in Mali, Côte d’Ivoire or Guinea. He also regularly asks for feedback on his preaching. This is only one example of Haidara’s public shunning of powerful actors in Malian society. Even before the crisis, he did not hesitate to similarly blame corrupt politicians and public officials. While he is a strong post-colonial voice wary of Malians ‘losing their traditions’ under Arab or western influence, he is optimistic about the French intervention in the country. In fact, on 16 April, the French government awarded the medal of the Legion of Honour to Cheick Haidara for his message and work for peaceful reconciliation in Mali. In recognition of the history of cooperation between France and Mali, he advised the French ambassador to Mali to ‘never forget the work that Malians have done to save France from the Germans’ referring to the deployments of Malians within the French army in the Second World War. Haidara expressed his cautious gratitude to France on Facebook: ‘We say thank you, France, only God knows what is hidden behind this intervention, but we cannot judge and we are thankful.’ Ançare Dine supporters similarly post pictures of the French soldiers who died during Operation Serval, thanking them for their sacrifice and sending them Islamic prayers. This combination of Islamic prayers and images of French soldiers can seem incongruous given the depiction of France as a malevolent power in Mali’s post-colonial politics. As his statements demonstrate, while grateful for the French intervention, Haidara is still wary that it is driven by geopolitical and economic interests. Some have pointed out France’s need to stop the crisis in order to secure its uranium mines in northern Niger and gold mines in Mali, but Haidara shows no desire to analyze ‘what is hidden behind this intervention’. It also seems that the French government, conscious of Haidara’s influence in Mali, has recognized the importance of maintaining a harmonious relationship with him by awarding him this medal. The work of Ançare Dine shows that Islamic movements and leaders can be key players in democratic transitions. Haidara’s movement has supported fair elections and accountability of public officials, and fought against corruption for the past two decades. He recently called Mali’s authorities to act fairly and equitably: ‘God does not like injustice […] Mali does not need a Muslim, Christian or Animist president. Mali needs a just, equitable, respectful of all social groups of our culture, traditions, and an honest president.’ Haidara is also active in public health and international development, promoting the use of condoms and giving Islamic religious justifications for it. However, he only opposes the most severe types of genital cutting, considering its minor form to be true to ‘Malian traditions’. Examining the Ançare Dine movement, it is obvious that the religious landscape of Mali is much more diverse than usually portrayed by the media. Distinct from the Islamist groups fighting in the north, Haidara’s progressive movement has established itself as the loudest voices of Malian Islam. Overall, Haidara’s prominence and involvement in Mali show that international actors currently involved militarily or diplomatically in the country must continue to collaborate with influential moderate Islamic leaders, and constantly take the pulse of the population in order to contribute to a democratic transition adapted to the challenges and aspirations of Malians.